Barter Systems: Are also called Trade Exchanges, Mutual Credit, or Credit Clearing Exchanges. This does not indicate any fundamental operating difference. They all act as 3rd party record keepers to facilitate trade between member businesses (SME market). They all utilize a trade credit as a medium of exchange between participating members. Corporate Barter Companies: Work with large (often multi-national) companies and manufacturers and are a principal in the transactions. They purchase inventory with their own “trade credits”, take possession of the inventory and resell it on their own time table. Common Currency: A universal medium of exchange used by organizations that barter (such as trade exchanges, media companies and corporate trade companies) to transact a reciprocal trade. Trade: The cashless exchange or goods and services. Trade Dollars: The medium of exchange used between trade exchange members in place of cash in a non- reciprocal trade transaction. The IRS values a trade dollar the same as a U.S. Dollar. Organized Barter: Networks that utilize a common medium of exchange. Reciprocal Trade: A trade where two parties exchange products or services of equivalent values. Non-Reciprocal Trade: An indirect exchange between two or more parties, usually accomplished through a third-party broker. Cost of Goods: The direct cost required to replace that which is sold. Cost of Trade Dollars: The direct cash cost incurred to use one trade dollar, usually the company’s own wholesale cost of goods. Fixed Expenses: Those expenses of a company that remain the same regardless of the sales volume. Some of these are: rent, fixed labor, equipment costs, general overhead such as heat A/C and electricity, etc. Variable Expenses: Those expenses of a company that increase with the increases in production or sales, such as direct labor, shipping supplies, freight, additional product costs, etc. Incremental Sales: Sales generated outside of the seller’s normal market share. Trade Velocity: The speed at which trade dollars are turned. Trade velocity is measured by how many times the trade dollars are earned and spent in a client’s account within a certain period of time. Wholesale Buying Power: The ability through trade to sell products or services to new customers at a price higher than the price paid for the product or service traded and therefore to receive in return a product or service of greater value than the cash dollar costs in the item originally traded. Barter Leverage: The difference between the cash dollar amount invested in a product or service traded and the value received in the trade. Gross Profit Margin: Sales minus costs of goods sold. Companies with high gross profit margins generally are more receptive to trading large volumes, and companies with low gross profit margins generally hesitate to trade in large volumes because of their substantial cash dollar investment in their trade dollar. Deficit: Spending more trade dollars than you have earned, therefore having a negative trade balance. 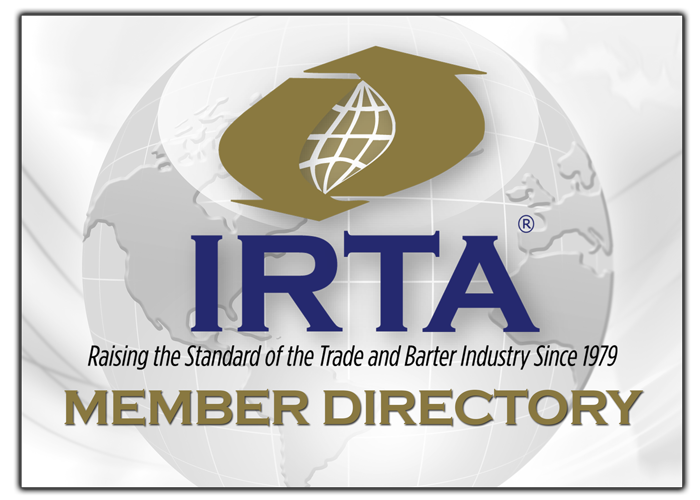 See IRTA’s Advisory Memo on Deficits. The Tax Equity and Fiscal Responsibility Act of 1982: Granted third party record keeper status to trade exchanges. Mandated that all trade exchanges file a report annually with the IRS that verifies the gross amount of barter sales made by their members and required trade exchanges to send 1099B reports to each member that made barter sales in the prior year.